Dante Gabriel Rossetti (1828-1882) and his sister Christina Georgina Rossetti (1830-1894) played important roles in the artistic milieu of Victorian England. Members of a highly cultured Italian immigrant family, they achieved widespread fame and exerted a significant influence upon the poetry and art of their time. Dante Gabriel was a co-founder of the Pre-Raphaelite Brotherhood of painters, contributing to a renewed interest in medieval themes and techniques. Both his painting and his poetry anticipated the Aesthetic movement of the late 19th and early 20th centuries. His deep intellect and highly emotional nature are reflected in poems that exhibit a combination of complex symbolism and powerful feeling. He was a master of the sonnet form, as best exemplified in his book The House of Life. Christina served as a model for some of her brother’s early paintings, and she was closely identified with the Pre-Raphaelites. Her poetry is more accessible and displays perhaps a greater felicity of expression than her brother’s. Today she holds a higher reputation, often being ranked (sometimes rather condescendingly) among the leading women poets. Other critics, quite appropriately, consider her a major poet without the feminine label. A deeply devout person, she never married, although she eventually rejected two suitors, both for religious reasons. 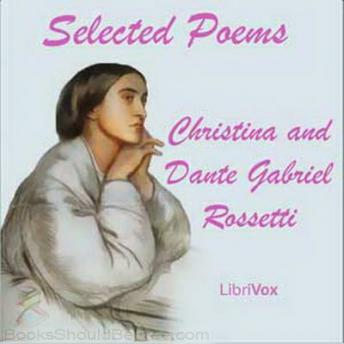 She produced a large body of Christian poetry, which is not represented in this collection. She also wrote many delightful poems for children.